Visit HealthyEssentials.ca and you will find this Lactaid coupon. You must create an account, sign in, order the coupon and click on ‘Print’. After you click on print, you will be prompted to download HealthyEssentials’s coupon printing software. After you print the coupon you can bring into any major retailer and save money on Lactaid pills. I’ve used printed coupons at Loblaws, Metro, Shoppers Drugmart, Walmart and had no problems. 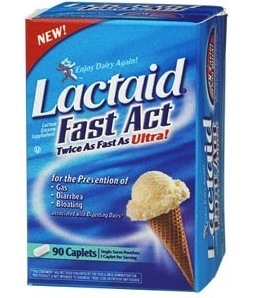 This is a Lactaid coupon to Save $2 on any Lactaid product. Lactaid coupon is valid only in Canada. You can find Lactaid products in any drugstore, Shoppers or Rexall.